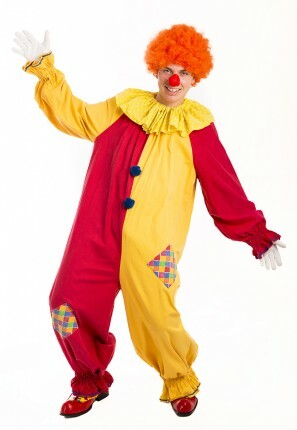 Fun Male Clown costume for hire. Costume consists of jumpsuit, neck ruffle, Clown nose and optional clown wig and shoes available. Perfect for a circus themed party underneath the big top.